The date of Pentecost is determined by several factors. The first four factors were discussed in part one of this study. This page explores the fifth factor in correctly determining the date for Pentecost. 5. When is Pentecost? - It Depends on Whether the Word "After" Belongs in Lev 23:11, 15 and 16. Here is the surprise factor in answering the question of when is Pentecost: The word "after" in the three verses above does not belong there! It is not even in the original. One change that involved a change in both time and law was made by the early church (notably in the time of the Roman Emperor Constantine) when the sanctity of the seventh-day Sabbath was "transferred" to the first day of the week. The law was (thought to be) changed in transferring the sanctity of the Sabbath day to the first day of the week as proclaimed by the fourth commandment of the law of God. Of course, this involved time as well. The reason given for this change was to honor the resurrection, understood by the time the change was officially made (early in the fourth century AD), to have occurred on a Sunday. 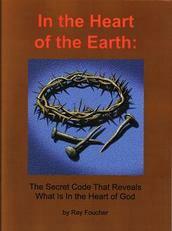 That the resurrection actually occurred on a seventh-day Sabbath is clearly documented in the book In the Heart of the Earth: The Secret Code that Reveals What Is In the Heart of God as discussed elsewhere on this website. In order to move the resurrection from Sabbath to Sunday the wave sheaf (also called first fruits) offering had to be moved from Sabbath to Sunday as it would not look good for the type or shadow of the resurrection to be on the Sabbath and then attempt to say that its fulfillment took place on Sunday. To do that a few (very minor) changes (but changes nonetheless) were made in (at least the understanding of) God's word. Note that a Strong's number (4283) is given for the word "morrow" and a number is given for "sabbath" (7676) as well as, in verse 16, for "seventh" (7637) but no number is given for the word "after." The Hebrew word, "shab-bawth" <7676>, means only "the Sabbath" and not "after the Sabbath." The idea of or translation "after the sabbath" cannot be coming from the word for sabbath. There is a good reason for there not being a Strong's reference number with the word "after" as we shall soon see. So he has the wave sheaf offering happening on the sabbath in verse 11 and the final offering on the day after the sabbath in verse 15. This would result in 51 days inclusive between the wave sheaf day and the final day whereas, in the King James Version, the same period would be 50 days inclusive. Note that the word "after" is omitted because it is not in the original. There is no word with the meaning of after and it is not included in the meaning of the words for morrow or for sabbath. In researching for my book about the resurrection (In the Heart of the Earth: The Secret Code That Reveals What Is In the Heart of God,) I would often refer to the concordance to find the original words, look at their meanings and where and how they were used in the Bible. I would try, as far as possible, to let the Bible define its own terms. When I found that, in these verses, there was no Strong's number listed for the word "after," I became suspicious. I soon found considerable evidence that "after" is a supplied word. It is found in Lev 23:11, 15 and 16 in most translations of the Bible but not in the original manuscripts. It seems that it was inserted in order to make it appear that the Wave Sheaf offering and Pentecost were both on Sundays. The Question is Over the Meaning of the Word Translated as "Morrow." Let's look more closely at what is happening here. "Morrow" is translated from the Hebrew "mochorath" <4283>. The Hebrew meaning of the word is: "it followed that," "the following," "the next" or simply "next." It does not include the meaning of "after." In English, we understand the word morrow as in "tomorrow" to mean "the next morning," the next period of light or wakefulness. If I wake up at three am and say "good morning" to my wife, she will say "its not morning yet - go back to sleep." We do not regard sunset as the morrow. "Morrow" does not correspond to the point where the next day begins which is, Biblically, at sunset. So how do we explain the translation of "mochorath" as "morrow after the sabbath" and how should it be translated? It could have been a few minutes later or a month later. The idea that it happened the next day is not implied by the word "mochorath" or the context of the sentence. It may very well have been the next day but that is an assumption; the words used do not indicate that. In the verse above, the word "next" <4283> still does not have the meaning, on its own, of "the next day" and therefore the word, "day" is included (in the original) to give it that meaning. If "mochorath did have the meaning of "on the morrow" then it should have read; "and all that night and on the morrow day and they gathered quails ..." which does not make sense. Again, in this passage, it is obvious from the context that it was the next morning. If every use of "mochorath" is considered (and I have done this) it can be seen that is can be understood to mean essentially "the next period of wakefulness." There have been suggestions that it designates a time period starting at sunset but there are examples that show this cannot be. and all the next (mochorath) day. If mochorath designates the next day starting at sunset this verse would not make sense. So the true meaning of the verses in Leviticus (23:11, 15 and 16) is a reference to the Sabbath and not to some time past it. While the word for "after" does not appear in the original manuscripts, the meaning had crept into the minds of the translators of, for instance, the King James Version and they probably assumed that the word "mochorath" must include the idea of "after" at least in those verses. So there is considerable evidence that both Pentecost and the preceding wave-sheaf offering were both on seventh-day Sabbaths. In my mind, that is the most-easily resolved of the questions about the date of Pentecost. There, unfortunately, are many differences among feast-keepers on how to determine the date of Pentecost and over when to keep the other feasts. I believe there is good evidence that, perhaps through some celestial event, the clock may be reset so that it is again simple to determine the timing of the feasts. Then we will more easily be able to determine the correct dates of the feast days. However, any such celestial event would not change the order of the days of the week. The question raised here regarding the timing of Pentecost is a question of which day of the week is used and therefore must be considered from that angle. Return from Date of Pentecost to When is Pentecost?